Suomen Jäätelö tailored a unique dessert for Hesburger! 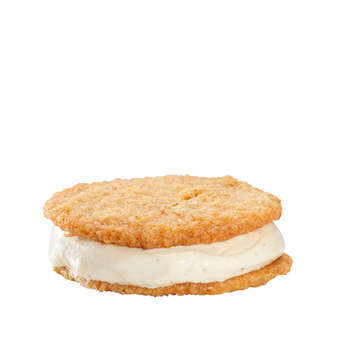 The ice cream burger is filled with rich ice cream made with Finnish milk and seasoned with real Bourbon vanilla from Madagascar. This mouth-watering treat is accompanied by two oatmeal cookies – of course made with Finnish oats. What a perfect ending to a burger lover’s meal!